Ah, those words take me back to 1971, when I started backpacking. Essentials for beginning backpackers were really basic back then. Thank goodness technology has gotten us to a much better (easier, safer) place for a newbie backpacker! If you're just getting started, you have a vast array of gear to choose from. But maybe it's too vast. As in "Where do I start finding best backpacking tips?" You're probably looking for an outline of backpacking essentials, and I'm just the woman for the job! I've been doing this since forever!! Add it all up, and how to get ready for a backpacking trip will be manageable and maybe even fun. Think about your daily life: food & water, shelter, comfort. Now think about your first backpacking trip - you're going to need those same things, except you're going to have to carry all of it (or use a llama, mule, horse, or trail buddy to help you). Which means you'll need a sturdy backpack, and sturdy boots to help your body bear the weight of all of your food, water, shelter, and other gear. Tip: Stick with reputable gear manufacturers. You might also need a bear canister or other bear resistant food storage option, depending on where you decide to backpack. To dig deeper into gear and how to backpack, explore these ideas. When it comes time to pack up all of that gear, read about packing a backpack. For a thorough discussion of how to pick the best backpacking sleeping bag, read this. Take your time, and write down questions or concerns as they occur to you. If you don't know where to start, use the search box at the top of the page to find information on this website. This is a journey of discovery - enjoy it! 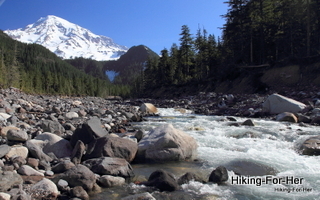 Backpacking essentials for beginners include finding, and treating, surface water. The best backpacking gear can only get you so far down the trail. What's in your head is just as important as what's in your pack. How will you respond to trail stressors? Animal encounters, poor weather conditions, gear failures... these happen sooner or later to every backpacker. What can you do to prevent a medical emergency? Do you know the best approach to pacing yourself? How will you deal with insects? Can you recall tidbits of outdoor lore to keep yourself amused or to feed yourself if your food supply is compromised? Healthy hikers know lots of tricks - time to learn a few! A great time on the trail boils down to good gear + lots of knowledge. Maybe you should start with a few simple overnight hiking trips or a long weekend to give yourself plenty of time to develop a strong skill set. 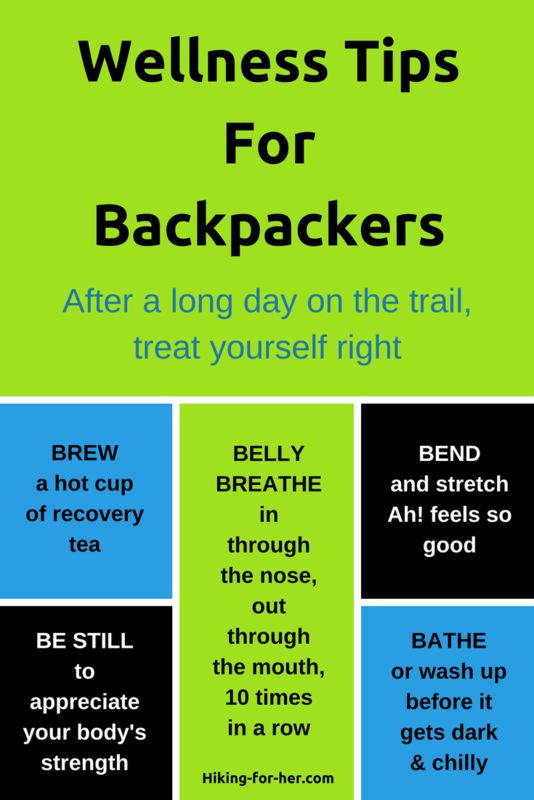 But there's one more essential ingredient for feeling great on your backpacking trip! Who wants to be crusty and smelly on the trail? OK, who wants to be less crusty and smelly on the trail?! If you said ME!, read this. This is plenty of information to get you started on learning how to backpack. As a beginner, please don't get overwhelmed by how much there is to learn. Forty five years later, I'm still learning how to backpack! Take your time reading through all of this information. Take notes on what you need more time to explore. Go hiking every chance you get, with all sorts of hikers. Repeat this process over and over again. Read up on why elder hikers are special. 1. Join a hiking group and learn from the veterans. 2. 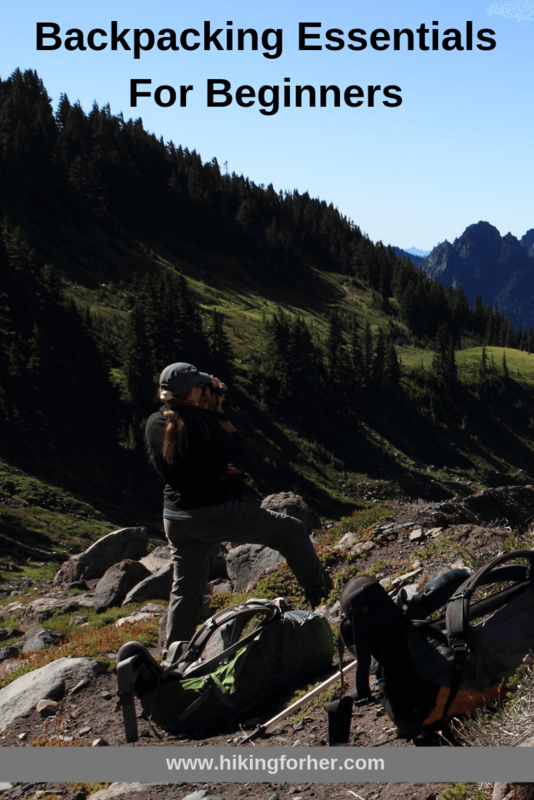 Take classes from local community colleges or a hiking organization. 3. 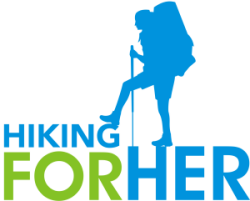 Find a hiking mentor and watch her like a hawk! 4. Find a hiking buddy and learn together. 5. Explore the Hiking For Her website thoroughly, and send me your questions. 6. Join our Over Forty Hiker private community. This page has given you all of the fundamentals. Now you have to plan for a long term commitment to this wonderful sport of hiking. How to buy the best hiking gear might be next on your list!